Just Read It is a regular feature in which the State Journal seeks recommendations from authors, literary enthusiasts and experts, focused on the contributor’s particular genre of expertise. Curt Meine, Ph.D., is a conservation biologist, historian and writer. His book “Aldo Leopold: His Life and Work,” published by the University of Wisconsin Press in 1988, was the first full-length biography of Leopold. Meine is a senior fellow at the Aldo Leopold Foundation in Baraboo, as well as a research associate with the International Crane Foundation. He is adjunct associate professor in the Department of Forest and Wildlife Ecology at UW-Madison, and is active locally as a founding member of the Sauk Prairie Conservation Alliance in Sauk County. Here, Meine chooses three works that explore the relationship between humans and nature. 1. 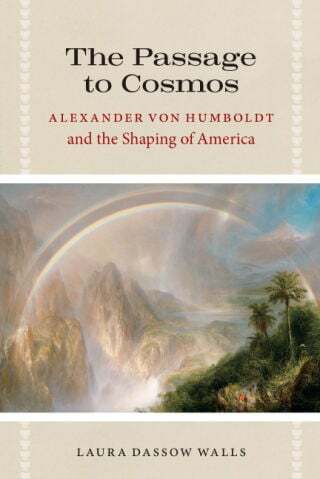 “Passage to Cosmos: Alexander von Humboldt and the Shaping of America” by Laura Walls (University of Chicago Press, 2009) is a remarkable study of von Humboldt, who in his lifetime was among the world’s most influential figures, but whose work and legacy have been too much forgotten. Von Humboldt is the essential intellectual ancestor of all who care about the complex relationship between humanity and nature. In his explorations, his scientific work, his writing, and his political convictions, he provided the foundations of conservation thought. Like her subject, Walls ranges adventurously across disciplines, weaving a trail among the natural and social sciences and the humanities. Her account of the integrity in von Humboldt’s thinking helps us to see beyond the academic boundaries that so often frustrate our search for common ground and shared wisdom. 2. 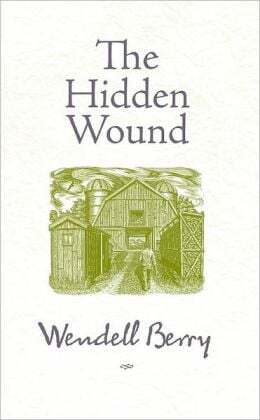 “The Hidden Wound” (North Point Press, 1989) is among Wendell Berry’s lesser known works. He first published this book-length essay in 1970, after a visit to Stanford University (where he had previously studied creative writing). At a time of heightened racial tensions on campus, Berry withdrew to the library to write. The result was a deeply personal examination of Berry’s own Southern boyhood and background and an incisive commentary on the shared social and environmental burdens of racism. Few books address with such sensitivity the intimate links between race, place, land, culture, identity, alienation, and (at least potentially) reconciliation. Reissued in 1989 with an added afterword, the book remains in print — as it remains unique, radical, and essential. 3. Carl Safina’s “Voyage of the Turtle: In Pursuit of the Earth’s Last Dinosaur” (Henry Holt and Co., 2006) is modern conservation literature at its best. Safina, a leading marine ecologist and conservationist, turned to writing at mid-career, publishing the acclaimed “Song for the Blue Ocean” in 1998. I appreciate all of Carl’s books, but perhaps have enjoyed this one the most. One swims along the global sea-lanes of the leatherback turtles, experiencing the places they depend on, meeting the people and communities they interact with, confronting the profound challenges that they (and other sea turtles) face. Safina is a witty and highly informed guide. As serious as his topic is, one also senses that he’s a writer who truly enjoys the act of writing — of communicating his passion for conservation, his love of science, and his wry observations of the human condition. Curt Meine edited a volume of Aldo Leopold’s writing for the Library of America, which came out in March. Read more at loa.org/volume.jsp?RequestID=380.